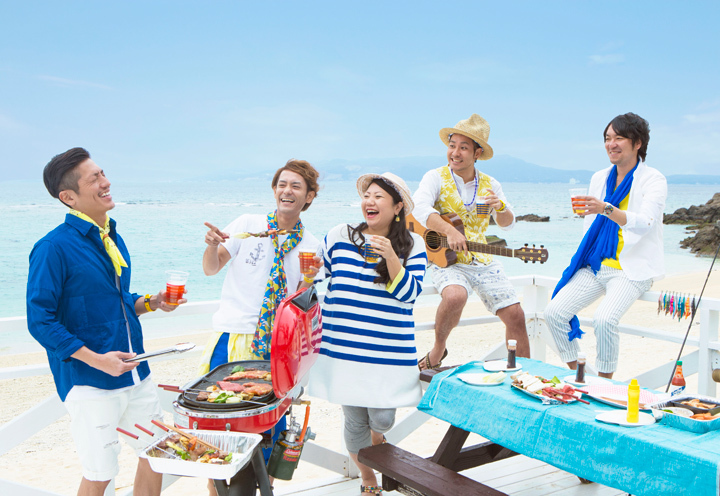 Formed in 2000 during their high school days, HY had achieved its own fanbase in performing street lives in the town of Chatan, Okinawa. In September 2001, their first album “Departure” was given a limited release in Okinawa, and it was quickly sold out. In March of 2002, HY performed their first solo live in Okinawa Ginowan Seaside Park in front of over 2000 fans. Later in April, “Departure” was released nationally. HY then participated in a music festival held in Paris, France in June of 2002. They attended various summer festivals throughout Japan, and at the end of 2002, they held their first nationwide tour. HY’s fame continue to increase as they performed a split live in Japan’s Budokan alongside the well-known overseas artist, LINKIN PARK. HY’s 2nd album “Street Story” was released in April of 2003. It captured the top position on the ORICON indies chart on its release date, which was something no one has ever done before. They held the top spot for 4 consecutive weeks and made a historical mark on the Chart. Their 3rd album “TRUNK” also achieved top position when it was released the following year. Their 2005 nationwide tour was sold out the day the tickets came on sale. HY’s 4th and latest album to date is “Confidence”, which was released in April of 2006. Their latest tour “WATTA SHINKER ’06 TOUR ~mu-ruiinchu~” also kicked off on March 17, 2006.